NEWTON, Iowa – Sprint Cup star Kyle Busch qualified first, led the most laps and won the Long John Silver’s 200 at Iowa Speedway. David Mayhew (No. 17 MMI Services/Ron’s Rear Ends Chevrolet) led the charge among the NASCAR Camping World Series West drivers in the Long John Silver’s 200 presented by A&W Restaurants NASCAR Camping World Series East-West combination race at Iowa Speedway in Newton, Iowa on Sunday, May 17. As the top finisher among the West competitors – third overall behind Kyle Busch (No. 18 Toyota of Des Moines Toyota) and Brian Ickler (No. 15 BrianIckler.com Chevrolet) – Mayhew was credited with a win. It was the first career victory for the 27-year-old California driver – who originally hailed from Atascadero, but now lives in Bakersfield. The race was the only one of the season which will award points to competitors from both the NASCAR Camping World Series East and West series for their respective championships. The starting field included 37 cars. They came from 19 American states and one Canadian province. While the rain plagued pre-race activity, after an hour delay, the weather cooperated for the race. 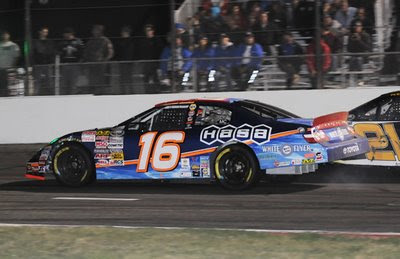 The number 16 Hasa Pool Products Toyota Camry started the race from twenty-eighth on the grid. Struggling with a race vehicle that was having difficulties turning, Moses Smith ran a smart race and finished fourteenth overall and eight in West Series. Moses takes the time to handout and autograph his hats. The fans enjoyed and appreciated the interaction. NASCAR Race Mom recently met David Reutimann at the Phoenix International Raceway. 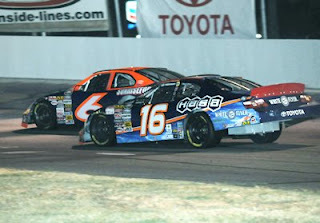 Moses Smith, #16 Camping World Series West Toyota Camry driver (my son) raced on Thursday. Mr. Reutimann proved to be extremely fan friendly. You can read about our exchange by clicking here. Not only has David Reutimann proved to be a great sport and very fan friendly, his accomplishments on the track have been super and he is fifteenth (15) in the 2009 Official Driver Standings. 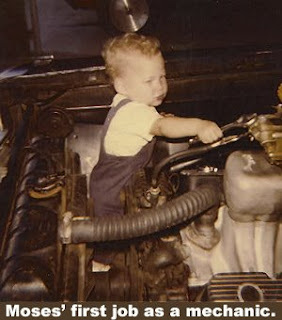 NASCAR Race Mom will be rooting for him and asks for your votes to get David Reutimann into the Sprint All-Star Race! Click here and vote for David Reutimann! For the remainder of this week, a number of NASCAR stars are depending on their hometown supporters and loyal fans to vote them into one of the biggest races of the year – The Sprint All-Star Race. The popular Fan Vote is a highlight of the All-Star weekend where fans will ultimately decide which driver receives the last entry into the race and a chance at the $1 million pay out. Sprint recently announced that the following 10 drivers are leading the Fan Vote (in alphabetical order): A.J. Allmendinger, Bill Elliott, Joey Logano, Jamie McMurray, Juan Pablo Montoya, David Ragan, David Reutimann, Elliott Sadler, Martin Truex Jr. and Michael Waltrip. Ask.com – the Official Search Engine of NASCAR – is encouraging race fans to “Smart the Vote” and search all of the eligible drivers at Ask.com before making their voting selection. With useful answers delivered at the speed of NASCAR, Ask.com is a resource for NASCAR fans to research eligible drivers and, in one-click, land on a Smart Answer page with the driver’s key racing facts. Should it be based on recent results like Logano’s top-10 last week? Past success like McMurray’s two wins? Or personality like the fiery Montoya? The possibilities are endless and completely up to the well-researched fan! Fan voting for the All-Star hopefuls ends at 7:30 p.m. on Saturday, May 16 prior to the start of the NASCAR Sprint All-Star Race which will take place under the lights at Lowe’s Motor Speedway in Concord, N.C.
Bill McAnally Racing driver Moses Smith and the No. 16 HASA Pool Products/White Flyer Toyota team are off to Iowa Speedway as the NASCAR Camping World Series West meet up with their counterpart from the East. Both will be battling for their own series championship points and for a starting spot in the NASCAR Toyota All-Star Showdown. This will be Smith’s third visit to Iowa Speedway. Smith qualified the No. 16 Hasa Toyota in 24th last season. A great effort by driver and team showed as Smith finished the race in 6th of the West Series drivers. Smith is currently seventh in the chase for the 2009 championship. “We have had a fast Hasa Toyota Camry everywhere this year,” said Smith. “We’ve also had some tough luck. I am hoping that the trip to Iowa will change the luck for the No. 16 Hasa Toyota team. I’m looking forward to racing after having a few weeks off.” The team’s last race was at Madera Speedway in April. The Long John Silver “200” will run on Sunday, May 17 at Iowa Speedway in Newton. The NCWS race will be televised on SPEED Channel on May 28th at noon Pacific Time. This is the fifth event on the 2009 schedule for the NASCAR Camping World Series West. It is the only combination point race this season for the NASCAR Camping World Series. This is the third time the teams have raced at Iowa Speedway. Mother's Day is older than NASCAR. The modern Mother's Day holiday was created by Anna Jarvis as a day for each family to honor their mothers in 1912. You only need to walk down the pits of any NASCAR racetrack to understand just how important Moms are to the racers. When Moses' started his 'career' as a racer, he was just twelve. I was a tad less than enthusiastic. Moms are different than Dads. We worry about the "what ifs." Of course the worst one is "what if" he/she is injured. 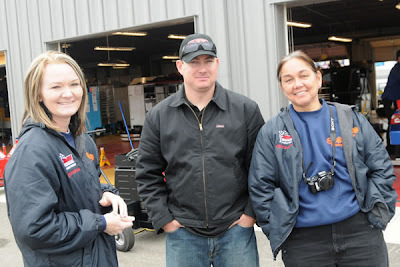 Nevertheless, it was not long before NASCAR Race Mom joined the ranks of the track moms who spent the majority of their weekends in the pits helping out the team as much as possible. 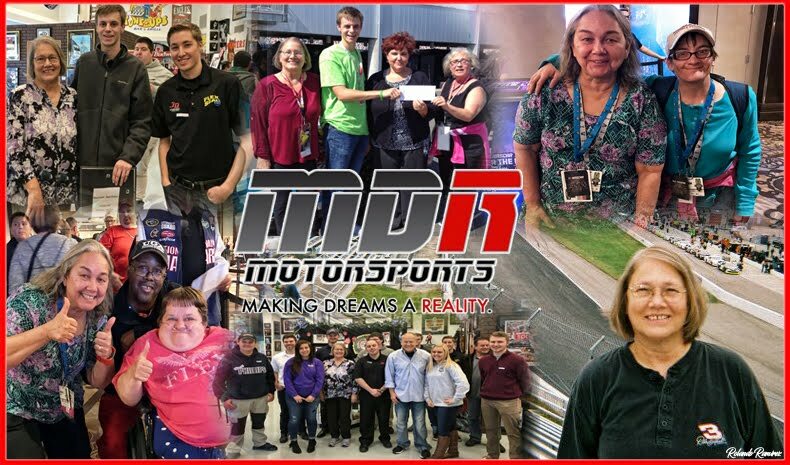 Moms fill in as media/press release consultants; score keepers; logistics manager ect . . . .
For over a decade, Jeff Gordon has driven his beloved No. 24 Chevrolet at the front of the pack at nearly every tack on the NASCAR circuit including this weekend’s Cup event at Darlington Raceway. Some attribute his success to natural skill. Some think it’s because of his work ethic. But, the one person who probably knows Jeff best is convinced her son’s racing tenacity has everything to do with a certain quarter midget race he competed in at the age of six. 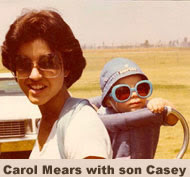 In an exclusive interview with Gordon’s mother, Carol, she tells more of this story and other tales from his childhood that you might enjoy in light of the upcoming Mother’s Day weekend. Additional stories are available from other moms of NASCAR stars including Ryan Newman, Brian Vickers, Reed Sorensen and Casey Mears. The interviews are available at Ask.com, the Official Search Engine of NASCAR. 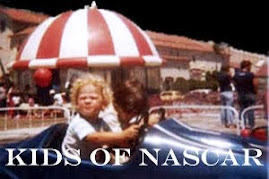 Just search NASCAR moms or click here. 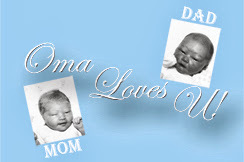 After reading all those heart-warming stories, take time to remember your special "mom" Sunday. The race … The Long John Silver’s 200 is the annual NASCAR Camping World Series East-West combination race. It marks the third event on the 2009 schedule for the NASCAR Camping World Series East and the fifth event of the year for the NASCAR Camping World Series West. It is the only East-West combination event this season for the NASCAR Camping World Series. The procedure … The starting field is 44 cars, including provisionals. The first 38 cars will qualify through two-lap time trials. The remaining six spots will be awarded through the provisional process. The race will be 200 laps (175 miles). The track … Iowa Speedway is a .875-mile paved oval with compound banking of 12-14 degrees in the corners, 10 degrees in the front stretch and four degrees in the back stretch. The facility, which opened for operation in 2006, is located east of Des Moines in Newton. This marks the third consecutive year for the track to host the East-West combination race. The records … Qualifying: Kevin Harvick, May 20, 2007, 133.775 mph. 23.547 seconds, Race: Brian Ickler, May 18, 2008, 85.216 mph, 2 hours 3 minutes 13 seconds. The Showdown … The overall winner of the Long John Silver’s 200 will earn a protected spot in the postseason NASCAR Toyota All-Star Showdown. Jason Bowles, Matt DiBenedetto, Eric Holmes, Brian Ickler, Greg Pursley have already earned spots with their victories this season. On point … Championship Points will be awarded based on a driver’s finish versus other drivers in their series. For example, the top-finishing East driver will receive 180 points regardless of overall finish, and same for the West. Just about every time Kyle Busch has taken to the track this year, he’s been a threat to win. The recently turned 24-year-old has eight wins in 24 starts in the three NASCAR national series. He will look to add another series to his win list at Iowa, as he is entered to run the No. 18 Toyota for Joe Gibbs Racing. "We're teaming up with Toyota of Des Moines, they've been good supporters of mine,” Busch said in the national teleconference Tuesday. “We're looking forward to bringing it up there and hopefully winning a race on Sunday so they can sell more cars on Monday." Busch will look to continue one trend and end another. Each of the past two years, the NASCAR Sprint Cup Series driver to run at Iowa(Kevin Harvick in 2007 and Kasey Kahne in 2008), has won the NASCAR Sprint All-Star Challenge in Charlotte, N.C., the night before. But they have failed to win at Iowa. In fact, Busch’s current NASCAR Sprint Cup Series teammate, Joey Logano, made a big splash as a then 16-year-old when he outran runner-up Harvick. Long John Silver's 200 Presented by A&W Restaurants: NASCAR Camping World Series East/West Challenge. The NASCAR Camping World Series is the top level of the NASCAR Developmental Series and is made up of two regional tours, the East and West, competing with identical race cars. Camping World, the country's largest RV and outdoor retailer, became the title sponsor for NASCAR Camping World Series beginning in 2008. The East dates back to 1987 and races in key markets in the northeast, along the Atlantic seaboard. The West enters its 55th season and features events along the Pacific cost, and throughout several other western states. The two compete on separate schedules and for separate championships. They meet for a combined points event only once during the season: At Iowa Speedway in May. 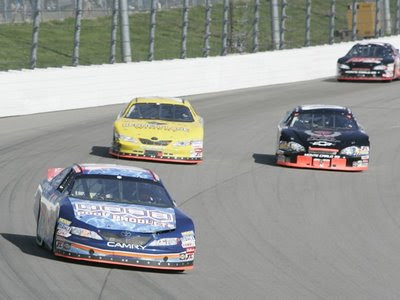 Both series run at a challenging combination of short tracks, intermediates, road courses, and speedways, with a number of races held in combination with NASCAR Spring Cup Series events. The cars are similar in appearance and design to those cars used in the NASCAR Nationwide Series. The cars are powered by 350 to 358 cubic-inch V-8 engines. Over the years, this series has helped launch the careers of many future NASCAR stars including current NASCAR Sprint Cup Series standouts Kevin Harvick, Martin Truex Jr., and David Gilliland, along with two-time championship crew chief Greg Zipadelli. As the new title sponsor, Camping World looks to continue the tradition of developing talented young drivers. Recent enhancements to the series included a schedule with an expanded geographic reach, new competition and cost-containment initiatives such as the new "spec engine" and compostie body, and lowered age-limit to 16 for drivers. Moses Smith, driver of the No. 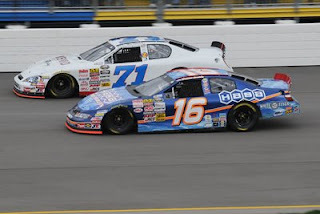 16 HASA Pool Products Toyota Camry for Bill McAnally Racing was the fastest West Series’ driver in the final practice session at Iowa Speedway and only 2/10th off the record. In a close qualifying session, Moses put the No. 16 HASA Toyota in row twelve. Only 44 drivers would start the 200-lap race. 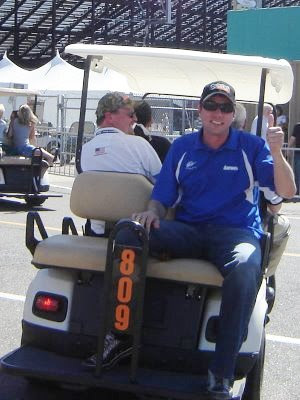 Smith gained positions with hard racing and great pit stops by the HASA team. He finished the race in sixth for the West drivers.